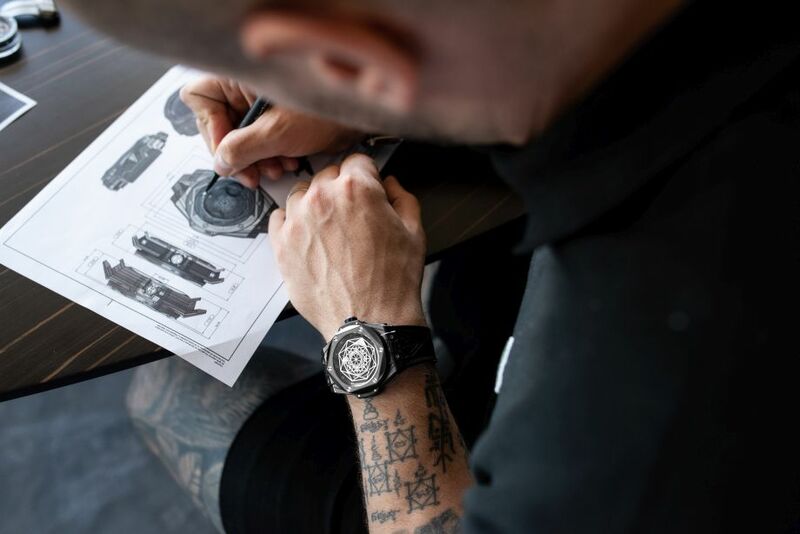 More ambitious than the Big Bang Sang Bleu launched in 2016, the new Big Bang Sang Bleu II passionately channels the design skills of world famous tattoo artist Maxime Plescia-Buchi. A case with more finely-chiselled lines, conveyed in three dimensions. 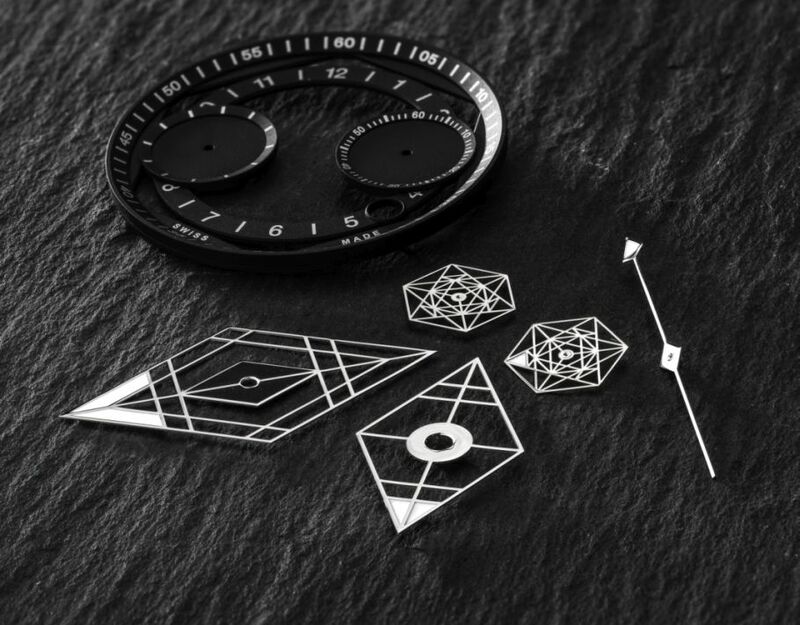 An expression of the passage of time, the hands - two elongated diamonds and an arrow - are stylised fragments of tattoos, set above a chronographic movement. 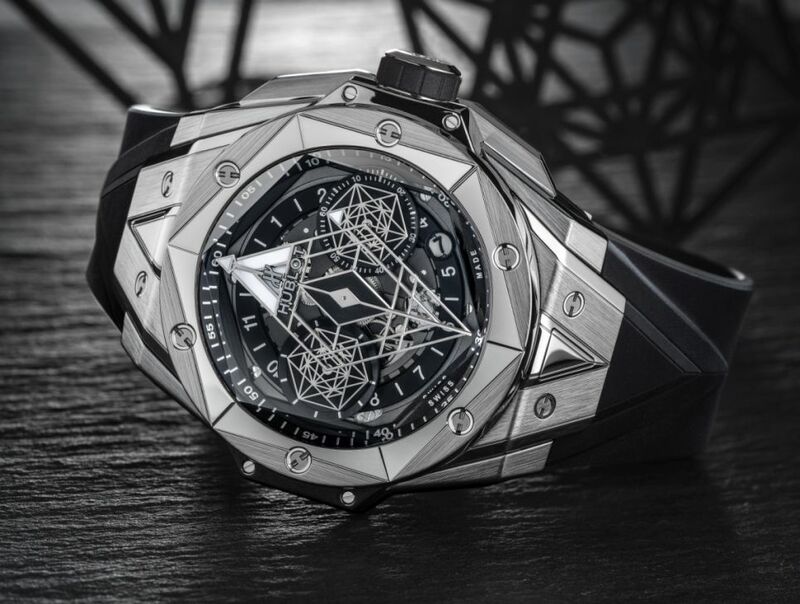 Even more disruptive, the Big Bang Sang Bleu II channels the creative inspiration of Maxime Plescia-Buchi into its three-dimensional angles and edges. 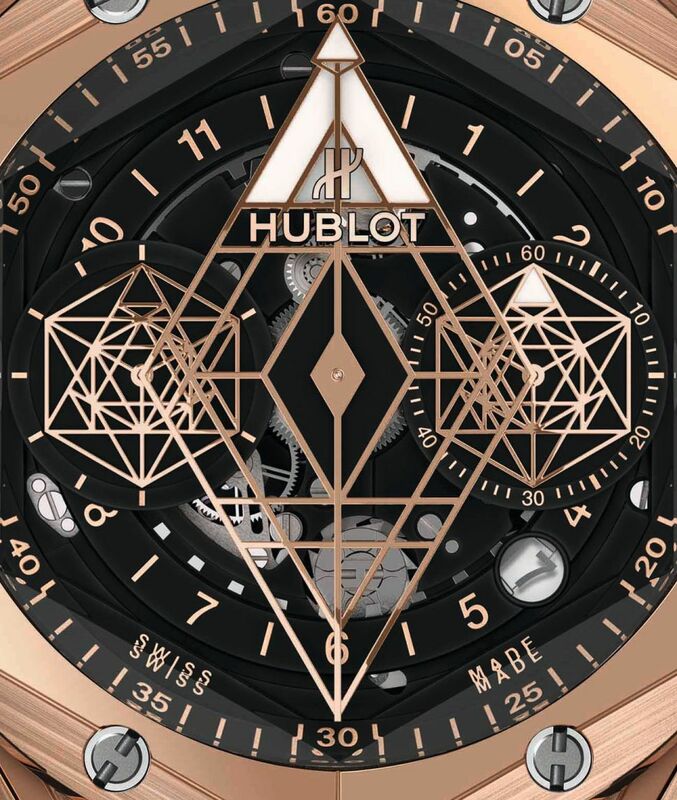 The motif spans the case, cutting into its hexagonal bezel, and carving into the sapphire crystal, juxtaposed against the hands with their geometric lines, and moulded onto the interchangeable bracelet. The case, in 18kt King Gold or in titanium, measures 45mm x 16.5mm. 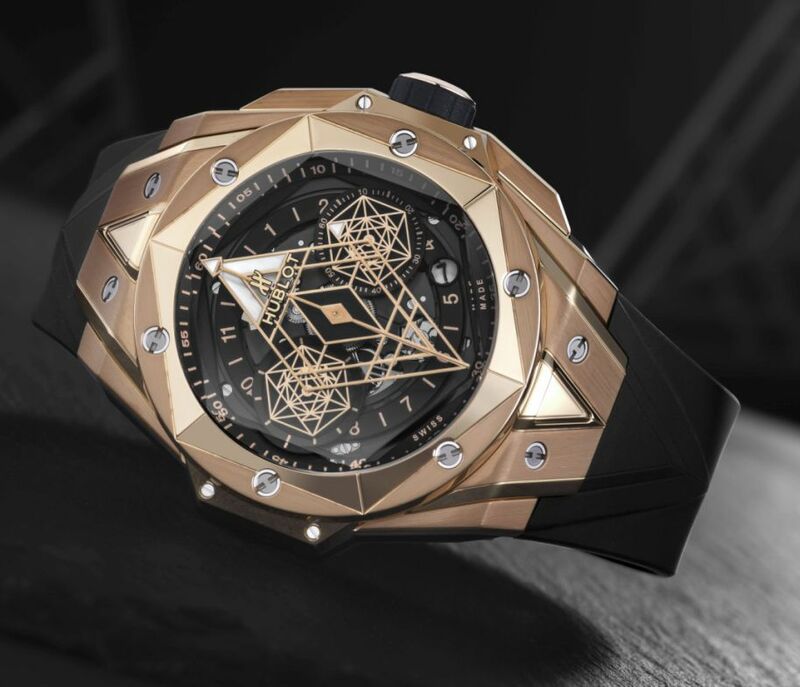 It has an AR-coated sapphire crystal, a sapphire display back, and it is water resistant to 100 meters. Movement is the Swiss automatic Hublot in-house caliber UNICO HUB 1240MXM with 38 jewels, 28,800 vph and a power reserve of 3 days. 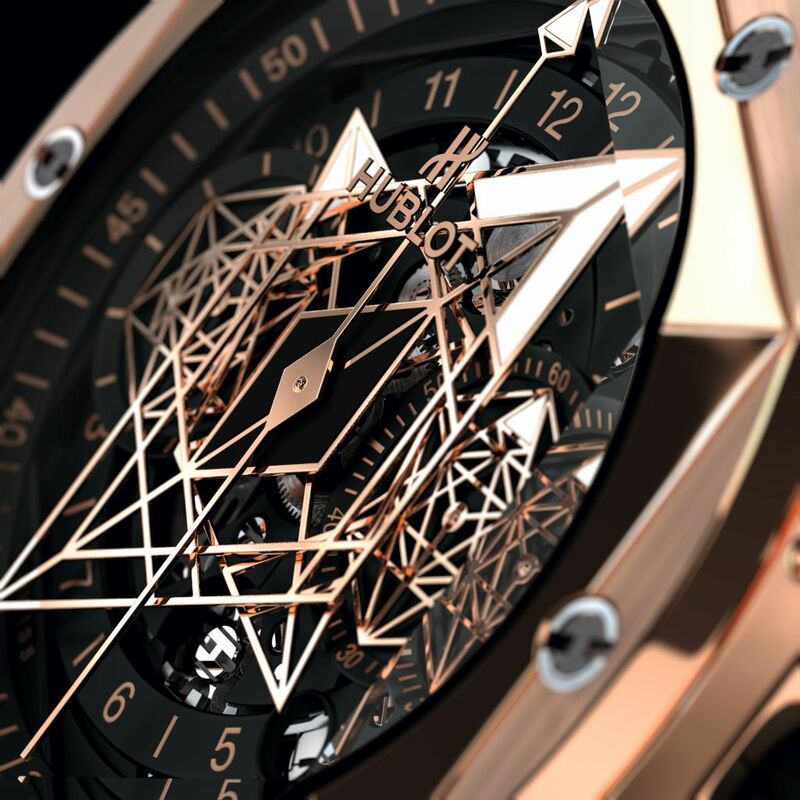 Chronograph flyback movement with column wheel. 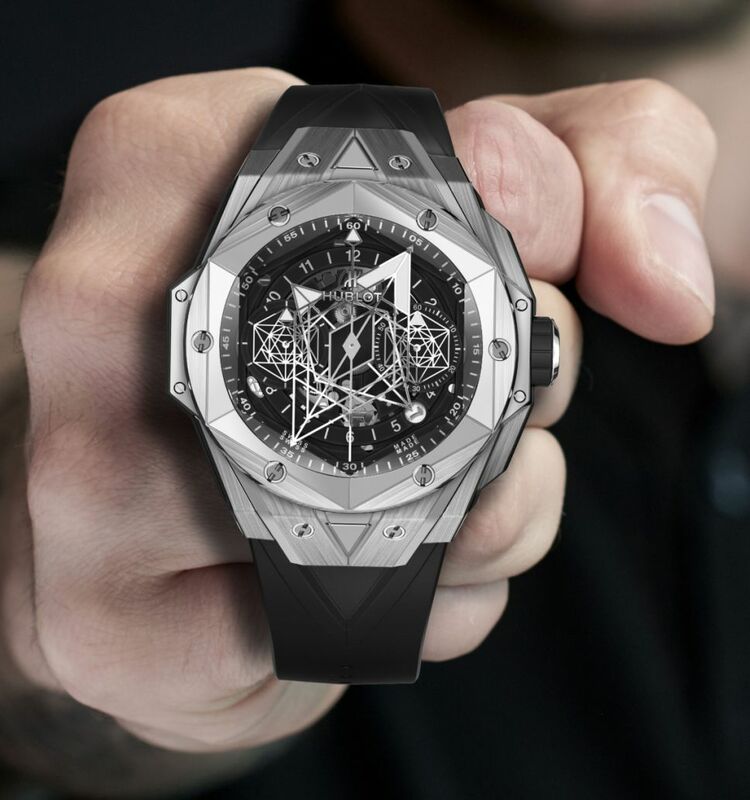 It has a matte black dial with polished skeleton hands. Hexagonal decoration. 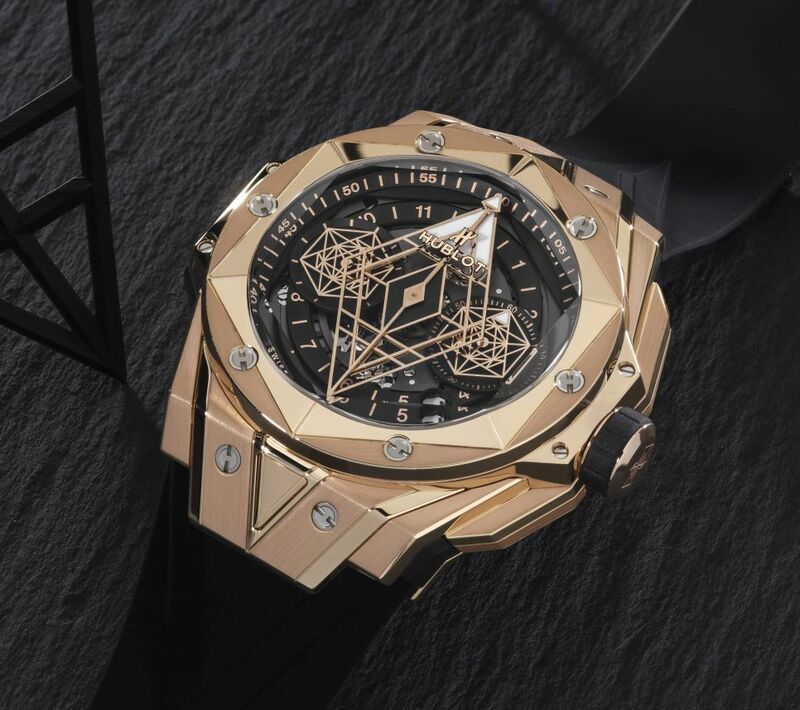 It comes on a black rubber straps with a titanium or 18kt King Gold deployant. MSRP is $25,200 in titanium, $47,300 in 18kt King Gold.